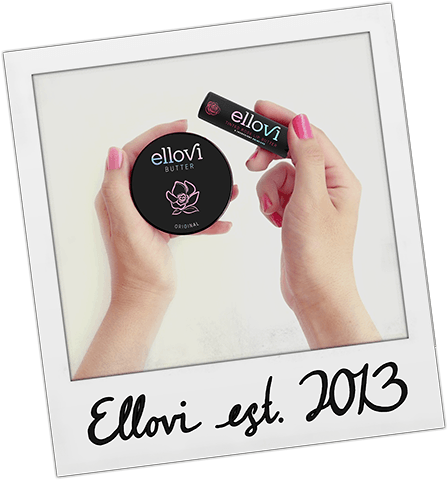 Ellovi was born to change an industry ruled by products laden with harmful ingredients and cheap fillers. Over the past six years, we have become leaders in natural skincare with more than 100,000 customers in 38 countries. We are passionate about crafting pure and nutritional skincare products from plants. What you put on your skin goes more than skin deep, which is why we only source ingredients from nature. Our first product, Butter, is the original six-ingredient skin food. It is an intensely hydrating body moisturizer made from skin superfoods: Hemp, Marula, Shea, and Macadamia. We encourage you to read our ingredient label and compare to other brands. You'll never find synthetic ingredients, preservatives, parabens, or other secret ingredients in what we make. Today, Ellovi is still handmade with love in Berkeley, California. We're on a mission to disrupt a broken industry, by building the future of beauty with ethically sourced, healthy, and healing ingredients. We exist to nourish the souls of people everywhere through simple, empowering skincare. On April 20th, Ellovi Butter launches at Berkeley Vegan Earth Day and we meet our first customers, many becoming our closest friends. In just one year, more than 100,000 jars of Butter are sold in 20 countries. Also launching this year is our second product, Lip Butter, made with skin superfoods shea, hemp, and marula. Three more flavors are introduced to the Butter family including Vanilla, made with the most pure form of vanilla in the world, cold-pressed from raw vanilla beans. Ellovi launches our product line in retail stores in the United States and Australia. After four years of rapid growth, Ellovi's Butter and Lip Butter are now sold around the globe in 38 countries, as awareness of clean skincare continues to spread. This year, our team has doubled in size and the Ellovi brand has relaunched with eye-catching new iridescent packaging, hand drawn artwork, refined formulas, and brand new flavors. Ellovi has been cruelty-free and vegan since day one, with a heartbeat for people, planet, and animals. Our promise to you, and ourselves, is to always make skincare products with integrity and the healthiest ingredients on the planet. We know you're going to love Butter, and are eager for your feedback.